Update: Toll the bell. Xbox Points is officially on the way out as of Aug. 26. "Today we started rolling out the official release of the 2013 Xbox Live Update," a Microsoft representative told Polygon. The deployment of the Xbox 360 update that transforms Points into local currency will be gradual, the rep noted, and so far it's only available in the U.S. It will eventually hit all 41 markets where Xbox Live is enabled, including the U.K. and Australia. Polygon reported that when it tried to buy a game using Points, the site was shown some screens as Live converted the points into a U.S. dollar equivalent (120 Points for $1.50). Currency converted during the transition period will stay valid through June 1, 2015, according to a support page FAQ. Currency converted after the transition is complete won't expire. Lastly, Microsoft won't tax money it adds to users' accounts during the transitional period, however taxes will be applied to money users add after the transition is finalized. 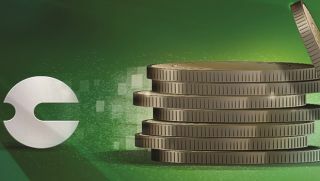 Microsoft's pledge to ditch its virtual Microsoft Points currency in favour of real world cash will be honoured the next time the company updates its Xbox 360 system software. Late on Friday the gaming giant confirmed a forthcoming software bump to give users the opportunity to buy content in their local currency, rather than deal with the cumbersome and confusing points system. Writing on the Xbox Wire blog, chief product officer Marc Whitten said: "You told us you want to be able to buy things using money instead of points, and we listened. "After the next Xbox 360 system update, when you go to buy something or redeem a Microsoft Points card or code on your console with your Microsoft account, we'll add to your account an amount of currency equal to or greater than the Xbox Marketplace value of your Microsoft Points, which will be retired." The company first announced it would be switching to real money for purchases made on the Xbox 360 and forthcoming Xbox One console at the E3 expo in June. Microsoft still hasn't confirmed exactly when the update will hit Xbox 360 consoles, but promised those with gift cards and fan codes will still be able to redeem them after the transition takes place. In the blog post Whitten also assured users: "We know you've worked hard on your Microsoft Points earned through Xbox Live Rewards. These will remain in your Xbox Live account and transition to local currency with the rest of your Microsoft Points." Can't say fairer than that. Have you heard about Microsoft's renewed plans for digital game sharing on the Xbox One?